WELCOME, YOUR LIFE IS ABOUT TO GET BETTER! This is a big moment. You have made a decision to find out what to do about your communication needs or protect your ears from potential hearing loss. We respect your decision and will guide you on your journey to a better quality of life. At Colorful Hearing, we see Patients by appointment during business hours. Walk-ins will be accommodated, if our schedule permits. Intake information helps us understand your needs and desires. Click below to download the intake forms. Please fill them out prior to your scheduled appointment or come 20 minutes early to complete the intake information in time for your appointment. In the event that you need to reschedule your appointment, please call 24 hours in advance. Perhaps you invested in hearing aids from somewhere other than Colorful Hearing, and you found that they didn’t really help. Dr. Taylor is an expert at reconfiguring hearing aids to make them fit the wearer in amazing new ways. She will evaluate your hearing aids to see if they are appropriate for your hearing loss configuration and for your lifestyle. If your hearing aids can be reprogrammed and are not technological dinosaurs, we will send you out with the best sound they can produce! We will also provide one year of follow-up service to make sure they fit properly, for one simple fee. When you schedule an appointment for reprogramming, please bring a copy of your most recent hearing test, your hearing aids, and your listening device accessories fully charged. At Colorful Hearing, it is our privilege to get you reconnected to the sound of life. 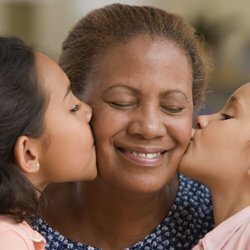 We know that every person and every hearing loss is unique. 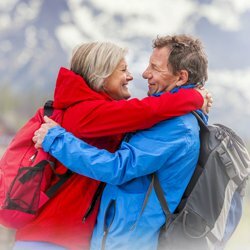 Our commitment is to equip you with hearing instrument technology and strategic ways of communicating that help you live life to the fullest. Welcome, your life is about to get better! We are conveniently located at I-35 N & US 380.